Originally published in Journal of Creation 15, no 3 (December 2001): 43–44. Artificially-inflated 14C dates have been found to occur when trees absorb ‘infinitely old’ carbon dioxide released into the atmosphere from local, volcanogenic, subterranean sources. This is not to be confused with wood contamination because the carbon is firmly locked within the wood fibres. A similar effect has long been recognised with the fictitious ‘built-in’ carbon-14 dates that occur in molluscs when they absorb ‘infinitely old’ carbon from carbonate rocks. In addition, creationists recognise that the global atmospheric buildup of 14C after the Creation and Flood would have produced artificially-old carbon-14 dates. However, the widespread emanation of 14C-free volcanogenic carbon dioxide after the Flood would have further inflated the carbon-14 dates of tree rings in a systematic manner in many parts of the world. The carbon-14 dating method is based on the assumption that tiny amounts of radioactive 14C, produced as cosmic rays hit nitrogen in the upper atmosphere, become incorporated within the bodies of living things. After death, generally no new 14C can enter the body, nor can any 14C leave. Instead, the 14C gradually disappears from the body by undergoing radioactive decay. This occurs at a half-life of approximately 5,700 years. By assuming that 14C in the present atmosphere, and hence in the organism at the time of death, was essentially the same in the past, and that a closed system has existed since the death of the organism, we can compute how many half-lives of 14C have passed, and hence how many years have elapsed, since the organism died. Based on these uniformitarian assumptions, dates up to about 40,000 years are believed to be attainable. But even under these assumptions, there is ample evidence that carbon-14 dating has serious problems. According to conventional geology, the 14C in once-living objects older than about 100,000 years should have all gone, yet we frequently find objects supposedly millions of years old that contain measurable quantities of carbon-14. And even conventionally-believable dating results are often discarded if they conflict with some preferred hypothesis. Creationist scientists are willing to leave these uniformitarian mental boxes and thus have studied carbon-14 dating from a decidedly non-uniformitarian viewpoint. 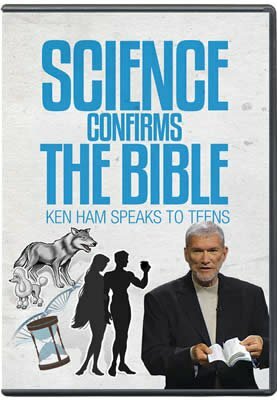 One creationist model envisions the earth created some six thousand years ago, the Flood about 1700 years thereafter and 14C building up either after Creation or after the Flood. Because most living objects buried during the Flood contained very little 14C when they died, they already possessed inherited carbon-14 dates (usually at infinity, but sometimes at a few tens of thousands of years, as discussed earlier1). Post-Flood organisms successively acquired less extreme ‘built-in’ carbon-14 dates at the time of death until they eventually converged upon ‘real-time’ ages a few thousand years ago. It turns out that there is another mechanism, probably active after the Flood, that creates greatly-exaggerated carbon-14 dates. Unlike the earlier-discussed global processes, it operates at the local level (relative to each living thing), and is particularly successful at altering the 14C content of living trees. Let us consider its revolutionary implications. a. 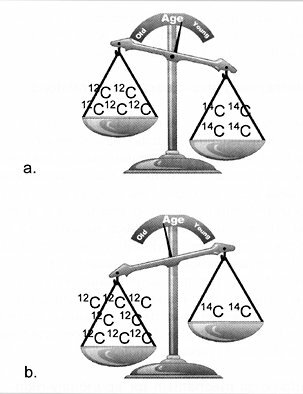 The ratio of 14C and 12C is measured to calculate the ‘age’ of matter. b. If the tree imbibes its carbon from a lower 14C source than the general atmosphere (e.g. takes up CO2 from volcanic gases) then the ratio will be higher in 12C than usual and therefore show an incorrect old ‘age’. For the longest time, it had been supposed that, given standard assumptions, carbon-14 dates from properly-decontaminated wood are virtually foolproof. After all, a tree grows a ring each year, and no new structural material is subsequently added to the ring. When newer, mobile, material is leached away by chemicals, the remaining structural wood fiber undoubtedly contains only the carbon (and hence 14C) that it contained during the year that the ring formed. And, so the reasoning continues, since closed-system conditions are almost guaranteed and since trees get their carbon from the CO2 in the air, and not from the soil, each ring must reflect the 14C concentration in the atmosphere when it formed. The key word in the above-described set of assumptions is ‘air’. Trees absorb whatever carbon dioxide gas is within their vicinity. In the absence of other sources, the only source of CO2 is the atmosphere. But what other source could there possibly be? One source is volcanogenic gases. And, since deep subterranean carbon usually had no prior contact with the atmosphere, it has zero 14C and therefore an infinite carbon-14 age. Now, consider a tree that imbibes half of its CO2 from the air and the remaining half from local volcanogenic gases. Its concentration of 14C at time of death is only half that of the ambient atmosphere, and hence it dies having a ‘built-in’ carbon-14 age of 5,700 years (one half-life). Under the right conditions, inherited carbon-14 dates can therefore mimic ‘real’ ones. All the foregoing examples are infrequent, and localized. But the situation must have been very different for some time after the Flood. A great deal of ‘infinitely-old’ carbon dioxide must have been percolating from the depths, all over the world, and over considerable geographic regions, as a result of residual volcanic activity, upper-mantle activity, etc. As the growing plants and trees absorbed much of this 14C-free CO2 flux, they necessarily acquired quasi-homogenous ‘built-in’ carbon-14 dates—not as an exception, but as a rule. A large fraction of the ‘very old’ carbon-14 dates we presently obtain by routine use of the carbon-14 dating method may therefore owe to this mechanism in addition to, or instead of, the earlier-discussed buildup of global atmospheric 14C since the time of Creation or the end of the Flood. Clearly, this volcanogenic CO2 mechanism deserves further study.